PST corruption may strike anytime and affect your business continuity plan. 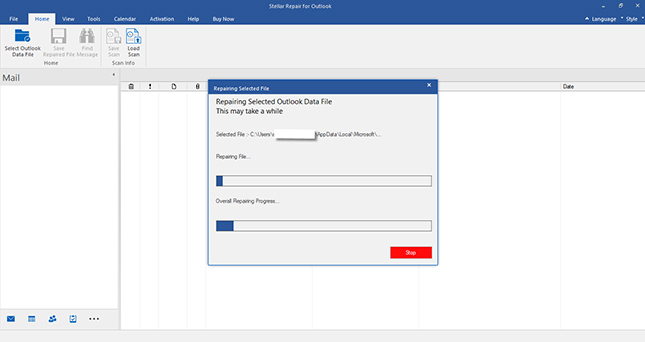 MS Outlook offers an indispensable tool named 'Scanpst.exe' (also known as Inbox Repair tool) to deal with corruption in PST file and get back all your lost valuable mail data. 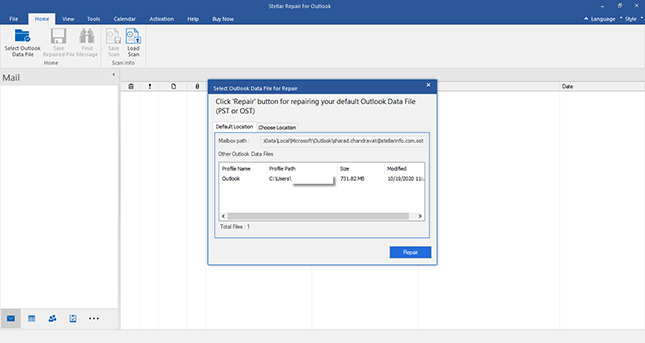 The Inbox Repair tool can repair both personal folder (.PST) file and offline folder (.OST) file of Microsoft Outlook. The repair process involves scanning the corrupt PST file stored locally on your hard drive to verify its file structure. If the file structure is not found intact, the repair utility restores this structure and rebuilds the file header. 'drive' refers to the name of the drive on which you installed MS Outlook. How to Use Inbox Repair Tool? Run 'Scanpst.exe' at its default location. You can also find this file using the Windows search feature, if it's not found at its default location. Specify the name of the PST file to be repaired in the 'Enter the name of the file you want to scan' box. You can also click 'Browse' to find the desired file in your system. Click 'Options' to choose the scan log options. If any errors are encountered, click 'Repair' to start the repair process. From the 'Go' menu, select 'Folder List'. In this list, you may notice a 'Recovered Personal Folders' or a 'Lost and Found' folder. The 'Recovered Personal Folders' comprises the default mail folders and the 'Lost and Found' folder consists of the recovered mail items. Once the corrupt PST file is repaired, create a new .pst file in your profile and move the recovered items into it, so that they can be used as before. In addition, when the PST file crosses the 2 GB file size limit or the file becomes corrupt due to oversizing, Scanpst.exe may not work. 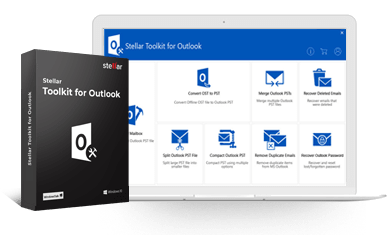 You can easily overcome all the above limitations of the Inbox Repair tool by using Stellar Repair for Outlook. You can still repair PST when Inbox Repair tool fails as this software thoroughly repairs the corrupted Outlook PST file to recover all damaged and inaccessible folders and mail items. It facilitates complete Outlook PST recovery and also allows recovery of mail data from encrypted PST files. 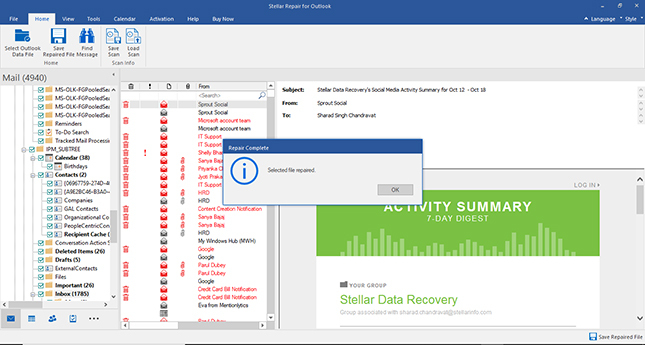 Preview & Save - Once your PST file successfully scanned, preview the recoverable mailbox components and the save it into new PST File using 'Save Repaired PST' button. Using the above software, you can smoothly repair and restore a damaged personal folders ('.pst') file that has exceeded its maximum file size. Try this smart and intuitive PST file repair tool that does not require prior technical experience to work on it! This tool is not compatible with this Operating System. What are the minimum system requirements to install & run the software? My business communication relies on Outlook email application. When I didn't access Outlook mailbox then go through this one utility. It recovered entire emails including my contacts and calendar entries. Thanks for saving valuable business asset! Stellar Phoenix & Stellar Data Recovery are Registered Trademarks of Stellar Information Technology Pvt. Ltd.
© Copyright 2019 Stellar Information Technology Pvt. Ltd. All Trademarks Acknowledged. Stellar Phoenix is now Stellar.